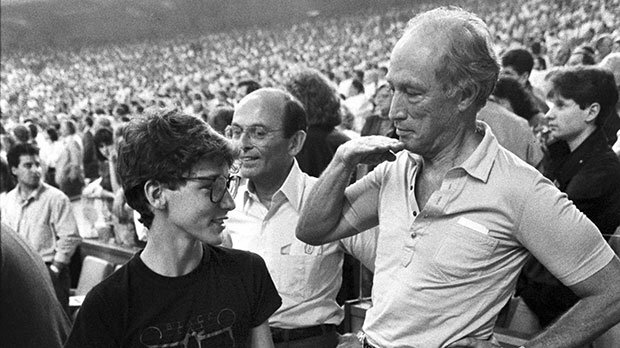 Justin and Pierre Trudeau, in the pre-post-partisan era, c. late 1980s. “has long admired the ability of the likes of Tony Blair and Barack Obama to put their personal touches on a modern way of doing politics, and wanted to create a Canadian version of a broad-based, centrist approach to a grassroots politics. The goal is to transform the Liberal Party… into a movement for the post-partisan age.” Ten Bonus Points to anyone able to make sense of the previous two sentences of political bafflegab.